A vigorous hardy vine growing to 6 m (20'). 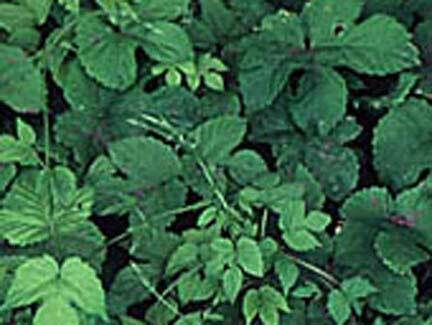 This twining herb grows rapidly and provides a quick and effective cover for walls and fences. The greenish flowers in late summer are followed by attractive fruiting cones which are used in brewing beer. Zone 3.